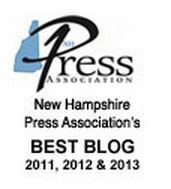 From UNH News Service: Over the last 20 years, Maine’s forests have become younger and less dense. As a result, forests are not providing the most climate benefits that they could through carbon sequestration and storage. However, more carbon could be stored over the next 100 years with less frequent harvests of smaller amounts of wood from each acre, according to new research from the New Hampshire Agricultural Experiment Station at the University of New Hampshire. “Continuation of business-as-usual forestry will likely lead to Maine’s forest sector being a net carbon sink for the foreseeable future – meaning that when you add up all the carbon stored in the forest and also consider all the greenhouse gas emissions associated with harvesting trees and making forest products such as paper, lumber, and energy – there continues to be more carbon going into the system than going out,” said experiment station scientist John Gunn, research assistant professor of forest management. “But, we can do better! When we shift to forestry practices that less frequently harvest smaller amounts of wood from each acre, this leads to 14 to 33 percent more carbon be stored over the next 100 years. This happens because trees would be allowed to grow older and larger and store more carbon than typically happens under current practices,” Gunn said. In addition, he explained that there is an added climate benefit to less frequent harvests of smaller amounts of wood: when trees are eventually harvested, more of them will will be larger and can be used to make higher-value products such as lumber that also stores more carbon for a longer time when used to construct buildings. On the other hand, harvesting more wood from each acre more frequently leads to a 30 to 70 percent reduction in carbon storage compared to current practices. To conduct their analysis, Gunn and his collaborator Thomas Buchholz with the Spatial Informatics Group used a life cycle greenhouse gas accounting tool to test the sensitivity of Maine’s statewide forest sector greenhouse gas emissions to changes in forest management. Inputs included forest cover data and growth and yield models for the state of Maine. They estimated net greenhouse gas emissions over 100- and 300-year time horizons of different management strategies across a range of carbon pools and emission sources. Carbon pools included storage in above- and below-ground live and dead biomass; storage in forest products in use and in landfills; harvest, transport, and manufacturing emissions; avoided emissions (substitution, bioenergy); and landfill methane fluxes. “Climate change is happening and carbon dioxide is a major culprit. Forests and the products we make from them can help keep greenhouse gases like carbon dioxide out of the atmosphere. These findings show that we can manage forests in a way that provide more value to landowners and produce greater climate benefits,” Gunn said. Going forward, Gunn and experiment station scientist Mark Ducey, professor of forest biometrics and management, along with foresters from UNH Cooperative Extension, plan to identify the management decisions that New Hampshire foresters and landowners can make to restore forests that have been impacted by natural disturbances or past poor management practices. This work will be supported by a grant from the National Fish and Wildlife Foundation’s New England Forest and Rivers Fund. This research is presented in a recent issue of the journal Forestry in the article titled “Forest sector greenhouse gas emissions sensitivity to changes in forest management in Maine (USA),” https://doi.org/10.1093/forestry/cpy013. This material is based upon work supported by the NH Agricultural Experiment Station, through joint funding of the National Institute of Food and Agriculture, U.S. Department of Agriculture, under award number 1010675, and the state of New Hampshire. This work also was supported by the Manomet Center for Conservation Sciences while Gunn was a senior program leader there. If you harvest fewer trees per acre and harvest less often, the forest will soon be too dense and become more prone to very intense fires. I do not think that this wise. Fear of fire is just an excuse for logging. In most cases fires are controlled by weather, not fuels. (There is always enough fuel to carry fire.) Also, many forests are relatively moist and cool and are not at significant risk of fire. And logging can make fire hazard worse not better by creating slash, opening the canopy and making the forest hotter, dryer, windier, and stimulating the growth of ladder fuels.